Ah, the sugar cookie. It’s such a classic cookie. I baked a lot of sugar cookies over the summer for my church’s annual Vacation Bible School. One woman at my church is “famous” for her sugar cookies that are served each year at VBS. 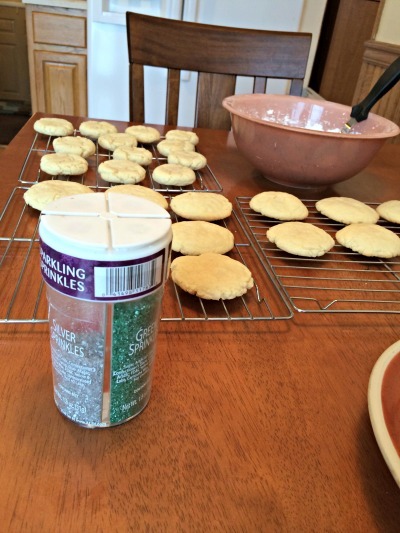 In June, she asked me to take over the sugar cookie baking, and I gladly accepted. 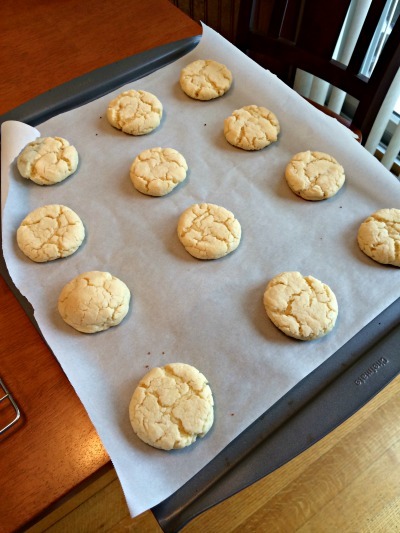 She insisted that I use her sugar cookie recipe, and I was more than happy to! My lactose-intolerant self was also happy to learn that the cookies are dairy free. Hurrah! Another thing that made me happy about the recipe? The fact that the dough can be rolled and cut into shapes without having to chill for hours in the refrigerator. Score. 6. Sprinkle with extra sugar and bake for 10-12 minutes. Cool completely before frosting. This recipe makes about 2.5 dozen delicious cookies. They look amazing and very easy to make. Thanks for sharing the recipe. Tim would love these. He is all about sugar cookies. Yummaaayy! My favorite cookie is classic chocolate chip! Oh YUM! I don’t know if I’d ever be able to pick a favorite.. maybe peanut butter oatmeal chocolate chip! Baking professional! I don’t really eat cookies, but if I had to choose it would be OREOS! those look SO GOOD. I am a huge gingerbread cookie fan! These look great and I’m glad they’re dairy free! I love Grasshopper/Thin Mint cookies. I know they’re store bought and terrible for me. But I can’t help it. They’re amazing. These look so simple and delicious! Nothing beats a classic sugar cookie topped with lots of creamy frosting…and sprinkles :)! Oooh shortening instead of butter – clever! These look yummy!